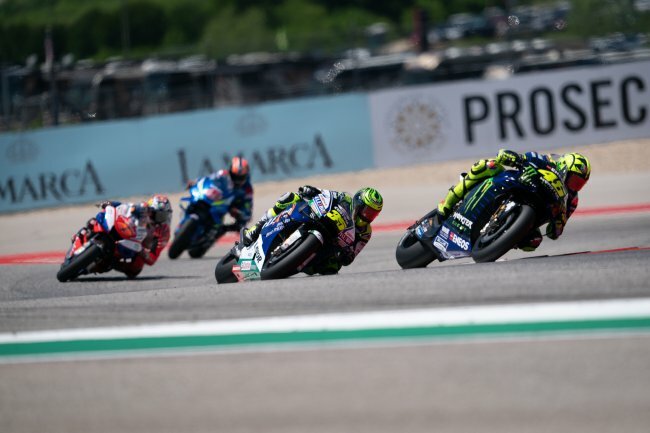 Cal Crutchlow ensured another frustrating Sunday afternoon as he suffered an early fall at the Grand Prix of the Americas in Texas. The LCR Honda CASTROL rider looked poised for an assault on the podium places in Austin having started in third position on the grid after demonstrating impressive during qualifying. The Briton had made a strong start to the race and was ahead in a front three along with pole-sitter Marc Marquez and Valentino Rossi in the early stages. However, Crutchlow lost the front end of his RC213V on lap six when stalking Rossi and slid out to bring his race to a premature and disappointing end.